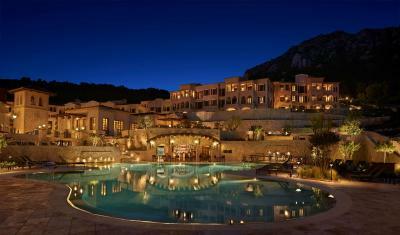 Lock in a great price for Park Hyatt Mallorca – rated 9.1 by recent guests! 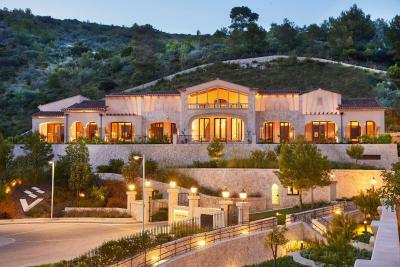 Hotel was gorgeous - a remarkable property nestled in the foothills of Canyamel. Everyone was so accommodating, friendly, and wanted to meet every one of your needs. Food at all restaurants was very good. Rooms are beautiful. A true 5-star resort. Superb picturesque property and warm and very helpful staff. Quality accommodation, wonderful staff ( a special mentón for the reception staff (Carlos!) the chef ( Gregory ) the lady who received us at the breakfast venue. Thank you. Far exceeded expectations on every level. Exquisite hotel, exquisite setting, exquisite staff. Everything was perfect, nothing was too much trouble. I didn’t ever want to leave and can’t wait to go back. 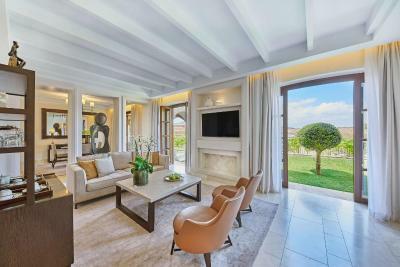 Park Hyatt Mallorca This rating is a reflection of how the property compares to the industry standard when it comes to price, facilities and services available. It's based on a self-evaluation by the property. Use this rating to help choose your stay! 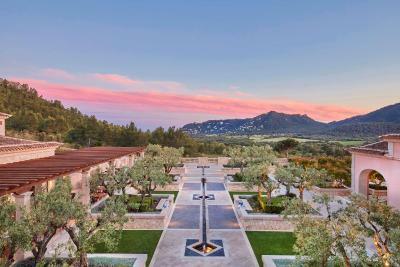 One of our top picks in Canyamel.Located in Cap Vermell Valley, 15 minutes’ walk from Canyamel and its beach, Park Hyatt Mallorca offers fantastic views. 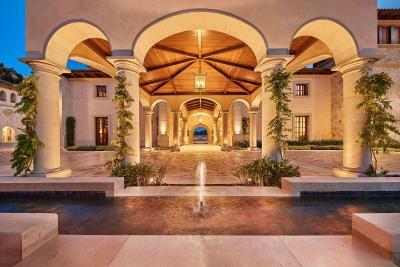 It features a spa, 2 swimming pools, 24-hour gym and several on-site restaurants. Spacious and elegant rooms and suites all include a large private balcony, free WiFi, and extra-large beds. 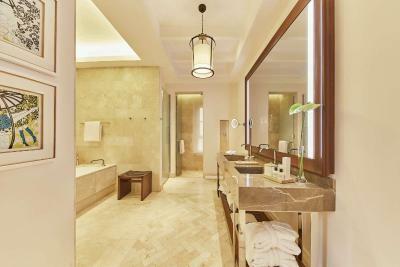 The private bathroom comes with a rain shower and handcrafted soaps. Serenitas Spa offers a wide variety of treatments, which incorporate many natural elements from the island. The spa also features a sauna, sensory showers, vitality pool, and a hairdresser. 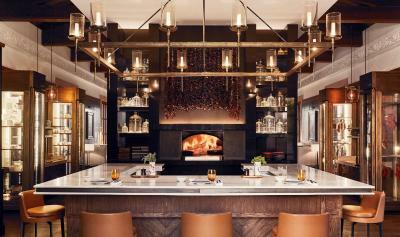 Park Hyatt Mallorca has several on-site eating options, including the Balearic Restaurant with local cuisine, the Asia Restaurant serving South-East Asian cuisine, the Tapas Bar with an outdoor terrace, and Café Sa Plaça. Also available is 24-hour in-room dining. Palma de Mallorca and its airport can be reached in around an hour’s drive. 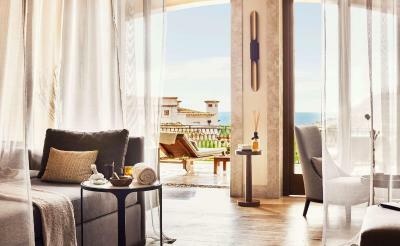 When would you like to stay at Park Hyatt Mallorca? 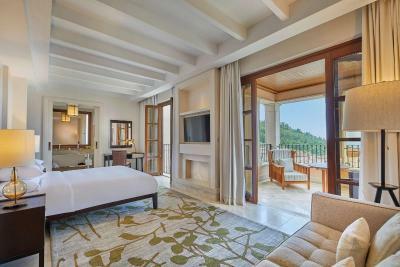 Featuring a private terrace with views of Canyamel Valley, this spacious room has a king-size bed. It includes in-room tablet, individual air conditioning and heat control, an espresso and tea set, a mini-bar and a large TV. The bathroom has mirrors with integrated TV, a heated floor, free toiletries and both a bathtub and a rain shower. 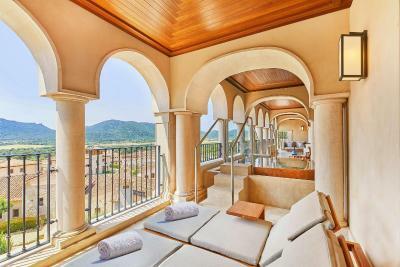 Featuring a private terrace with views of Canyamel Valley, this room has 2 single beds. It includes an in-room tablet, individual air conditioning and heat control, an espresso and tea set, a mini-bar and a large TV. The bathroom has mirrors with integrated TV, a heated floor, free toiletries and both a bathtub and a rain shower. Featuring a private garden area and a private terrace, this room has a king-size bed. It includes an in-room tablet, individual air conditioning and heat control, an espresso and tea set, a mini-bar and a large TV. The bathroom has mirrors with integrated TV, a heated floor, free toiletries and both a bathtub and a rain shower. Featuring a private garden area and a private terrace, this room has 2 single beds. It includes an in-room tablet, individual air conditioning and heat control, an espresso and tea set, a mini-bar and a large TV. The bathroom has mirrors with integrated TV, a heated floor, free toiletries and both a bathtub and a rain shower. Featuring a private terrace, this room has a king-size bed. It includes an in-room tablet, individual air conditioning and heat control, an espresso and tea set, a mini-bar and a large TV. The bathroom has mirrors with integrated TV, a heated floor, free toiletries and both a bathtub and a rain shower. This suite features a private garden area and a large, private terrace with furniture and sun beds, looking onto Canyamel Valley. It has a living-dining area, powder room, kitchen and a king-size bed. It includes an in-room tablet, individual air conditioning and heat control, an espresso and tea set, a mini-bar and a large TV. The bathroom has mirrors with integrated TV, a heated floor, free toiletries and both a bathtub and a rain shower. This suite features a private garden area and a large, private terrace with furniture and sun beds, looking onto Canyamel Valley and the sea. It has a seating area, a king-size bed, a powder room and a kitchen area. It includes an in-room tablet, individual air conditioning and heat control, an espresso and tea set, a mini-bar and a large TV. The bathroom has mirrors with integrated TV, a heated floor, free toiletries and both a bathtub and a rain shower. Featuring a private terrace, this room has 2 single beds. It includes an in-room tablet, individual air conditioning and heat control, an espresso and tea set, a mini-bar and a large TV. The bathroom has mirrors with integrated TV, a heated floor, free toiletries and both a bathtub and a rain shower. Featuring a private terrace with a hot tub, this 150-square yard suite has one large double bed, a living area and kitchenette. 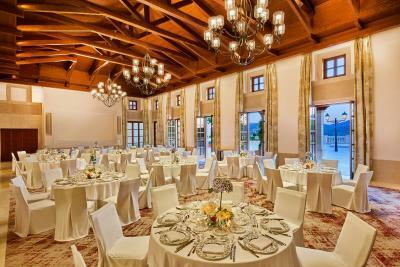 Located on the top floor, this room offers a terrace with views of the hotel's resort. It comes with one large double bed, sitting area and walk-in closet. 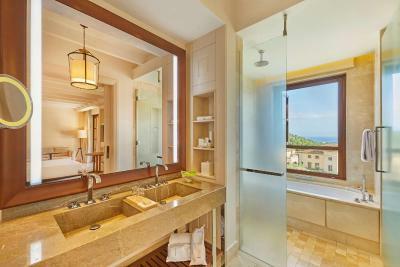 Located on the top floor, this room offers a private terrace with views of the hotel's resort. It comes with walk-in closet, and sitting area. This suite features a balcony, iPod dock and seating area. 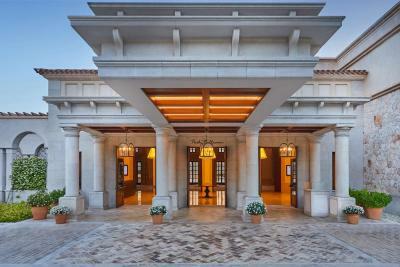 House Rules Park Hyatt Mallorca takes special requests – add in the next step! Park Hyatt Mallorca accepts these cards and reserves the right to temporarily hold an amount prior to arrival. Food was a little too sophisticated for our taste. No home cooking on offer but we went out and found some nice restaurants close by. Some customers were rude, loud, impatient and lack respect for the (great) staff, who made an amazing job to deal with them. Employees there deserve more recognition!